We're looking forward to this weekend's football action - there looks to be some tight games in the Premier League & we wouldn't be surprised to see an upset involving a relegation threatened team putting one over on a bigger club, QPR did it on Wednesday to bring up our 4-1 tip here on what were some decent midweek results for the team. We are going to try & continue the fine football tipping form with three selections for Saturday with one pick from the top tier & then two from our favourite division of League One. Good luck with all of your picks & our number one tip is to keep those accumulators small; the bookies love it when you hand over slips with 57 teams on. Try to forget about the dream money & you can instead give yourselves a chance of large, but not life changing, payouts on a regular basis! Alex McLeish's pedestrian Aston Villa side face an unenviable trip to the Emirates to take on an in form Arsenal who seem to have really found their stride, especially since a disappointing run of one league win in 6 games at the turn of the year. Arsenal have been in fine form recently, playing the type of football that they've been renowned for over the years & have rattled off 6 league wins in a row plus nearly produced the comeback of all comebacks against AC Milan in the Champions League. Demolitions of Blackburn & Spurs at home have been complemented with impressive wins at tough places to travel to on the road, Liverpool, Sunderland & Everton have all been beaten with Wenger's men even getting a rare clean sheet against the Toffees on Wednesday night. Obviously Robin Van Persie is Arsenal's main man with the incredible amount of goals he's been scoring this year but the emergence of Alex Oxlade-Chamberlain has been a real boost & could prove critical as they strive to finish as high as possible & guarantee Champions League qualification. Villa look overmatched here, they've just two league wins in 9 in 2012 & they came against Fulham last weekend with a last minute winner & against the league's worst in Wolves, they've actually only lost 3 away games thanks to the containing setup that McLeish employs but also only have 3 away wins with a league high 8 draws. Arsenal have the game to combat sides that try to defend as they have so many technically gifted players who can find space & play balls through a defence & with Villa being so unproductive going forward it should mean that Sagna can bomb on to help out & ThomasVermaelen will provide a threat at set pieces - a real area of weakness for Villa this season. We think Arsenal will go all out in this one as they seek to maintain momentum & that means taking Evens for them to win by two clear goals or more seems a fair bet & we'll be on come 3pm on Saturday. In League One, Tranmere Rovers host Exeter City at Prenton Park. Tranmere are in 16th position & are looking to pull away from the relegation zone whilst opponents Exeter are in the bottom two. 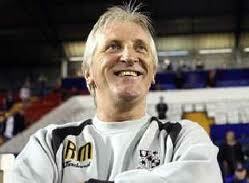 Tranmere were on a winless run of 11 matches when gaffer Ronnie Moore returned to the club for his 2nd spell in charge, since then they are unbeaten & have won three of their last five league games with the latest being away to Rochdale in midweek. They have gained 71% of their points at home & their record there against sides in the bottom half is impressive with seven victories & no defeats in ten games. Exeter have struggled all season & they have lost five of their last six league games, they have the worst away record in the league where they've suffered 13 defeats in 19 games & have only picked up 10 points. They aren't the greatest side in the league but know how to take advantage of weaker rivals & we expect a resurgent Tranmere to continue their good current form at the expense of Exeter at evens. Staying in League One we find Sheffield Wednesday on the road down south as the face Leyton Orient in a game they will be determined to win in order to keep their chase for an automatic promotion spot on the rails. The Owls will have been mightily disappointed not to have beaten Walsall on Tuesday night but showed great resolve to come from 1-0 & 2-1 down to get a draw, they've been getting the goals since replacing Gary Megson with Dave Jones as manager & that could be key against Leyton Orient who the league's joint 2nd lowest scorers at home with just 18 goals in 18 matches. The experienced Ryan Lowe has forged a decent partnership with the tall youngster Gary Madine with them each grabbing a goal each in 3 of their last 4 games & they should be partnered up again here. Wednesday haven't lost in their last 6 games whereas the O's have won just 1 of 7 with that coming against Brentford who've won just 3 games since mid December & that tempers our concerns around Wednesday's away record with them having won only 8 of 19 away from Hillsborough so far this year. Wednesday should have too much quality about them & can nick this one despite some defensive frailties still existing, Orient don't have the firepower to exploit that as they rely heavily on veteran striker Kevin Lisbie, & odds of 5/4 about the Wednesday win look very tempting to us.